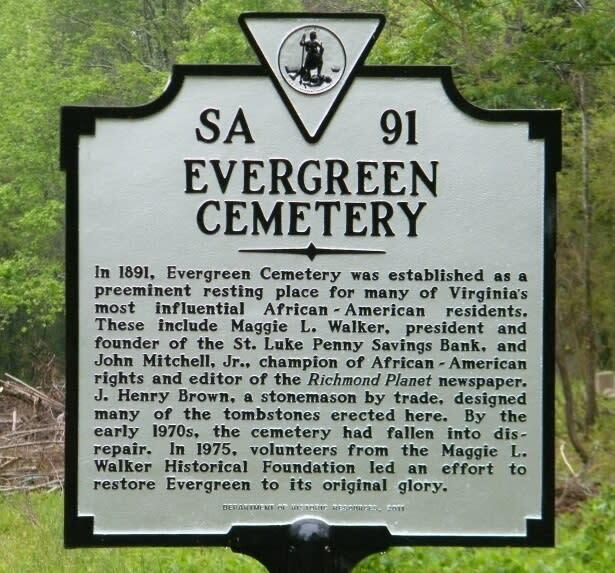 Evergreen Cemetery is a historic African-American cemetery, created in 1891 and located in the East End of Richmond. It is the resting place for many of Richmond’s African-American leaders of the 19th and 20th centuries, including Maggie L. Walker, John Mitchell, Jr, and Rev. J. Andrew Bowler. There are an estimated 10,000 plots in Evergreen. Enrichmond Foundation acquired the cemetery in May 2017 and, in partnership with Virginia Outdoors Foundation, will place it under a conservation easement to protect it from future development. In addition to protecting the land, Enrichmond will enlist volunteer, professional, and nonprofit assistance to return Evergreen to an accessible state. Major efforts over the next several years will include: clearing overgrowth and refuse, maintaining cleared areas, mapping gravesites, recording grave information, increasing visitor safety, and making the cemetery and its records available to families of those interred. Enrichmond is dedicated to making Evergreen’s sacred grounds public and accessible to all – most especially to family members of those interred. 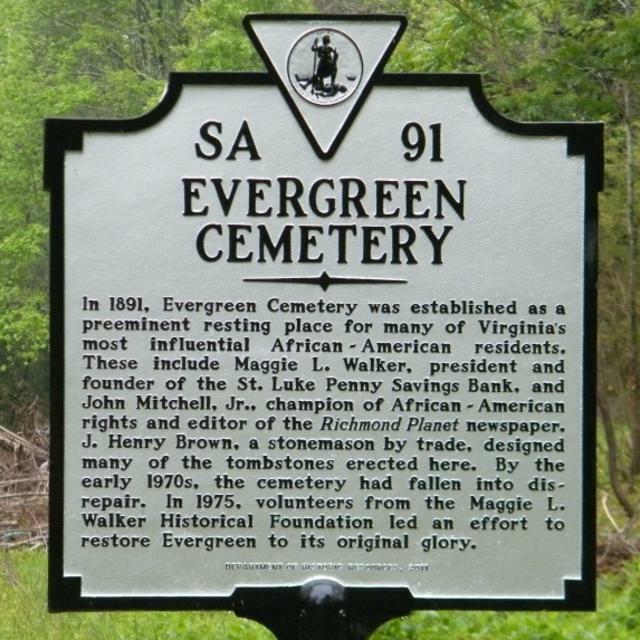 The acquisition also represents Enrichmond’s first step in bringing the “Four Cemeteries of Evergreen” under one coordinated restoration effort.